Arriba, arriba, andale, andale! Tonight for one night only Radfax will be performing an acoustic music medley at Cafe Chula, 75 West Yard, Camden Lock Place, Camden town market, Camden Town, London NW1 8AF. There will be 2 x 30 minute sets times 7:30-8pm & 8:30-9pm. This cafe serves up tasty authentic Mexican food & drinks. Free entry. Hope to see you there. Radfax will be performing an acoustic music medley at Cafe Chula, 75 West Yard, Camden Lock Place, Camden town market, Camden Town, London NW1 8AF. There will be 2 x 30 minute sets times 7:30-8pm & 8:30-9pm. This cafe serves up tasty authentic Mexican food & drinks. Free entry. Hope to see you there. 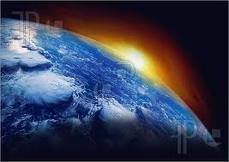 The One Planet Council is an independent voluntary body which enables and promotes One Planet Development. This forward-thinking planning policy provides a genuinely affordable and sustainable way for people to live and work on their own land, bringing social, economic and environmental benefits. It was adopted by the Welsh government in 2011 as part of its One Wales: One Planet scheme. One Planet Development is quantified by ecological footprinting, which reveals how much of the Earth’s resources people are consuming. When households reduce their own ecological footprints this helps their country reduce its overall footprint. The One Planet Council provides a bridge between applicants and local planning authorities, with guidance and tools to support anyone making the transition to this more sustainable way of life. It works also with those who have already made that leap, and with policymakers, academics and landowners. 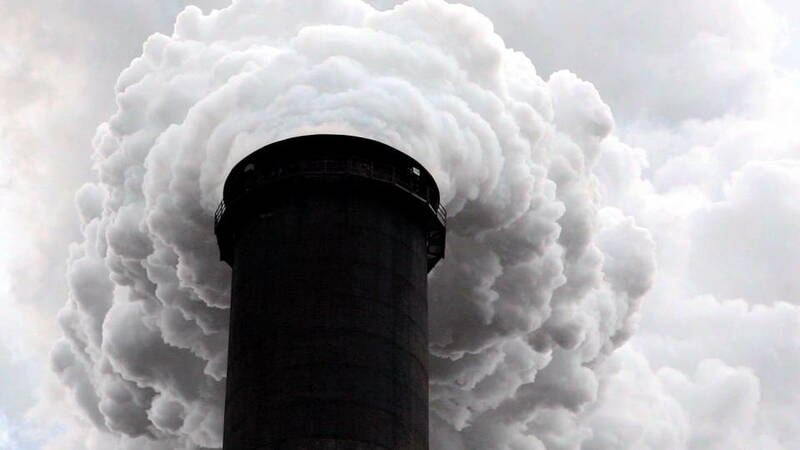 California: Oakland Bans Coal Shipments, Quashing Plans for Massive Terminal | Democracy Now! And as California reels from scorching heat and deadly wildfires, the city of Oakland has taken a step against the fossil fuel industry, a main driver of climate change. On Monday, Oakland city officials voted unanimously to ban the transport and storage of large shipments of coal, quashing plans for what would have been the largest coal shipment facility on the West Coast. The facility in West Oakland would have sent coal from the western United States abroad to China and other markets. Oakland Mayor Libby Schaaf said in a statement, "Oaklanders know that it’s a false choice to say we have to pick between jobs and this community’s health and safety. We can, and we will, do both." Japan has made another technological leap - Toyohashi University of Technology and Taisei Corp has unveiled the first electrical car in the world that will run without a battery, receiving its charge from an electrified road. 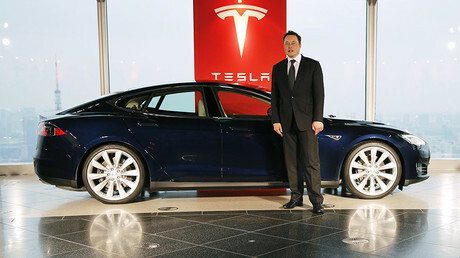 The unveiling on Friday was in the form of a test drive in Toyohashi, in the Aichi Prefecture. The small vehicle moved over the electrified surface, which had two rail-like steel paths spaced to match the car’s special tires. The charge is derived from steel wires embedded in them, which serve as a conduit. Electric cars are beginning to experience a rise in popularity, so it’ll be a while until fair comparisons to their traditional counterparts can truly be made. 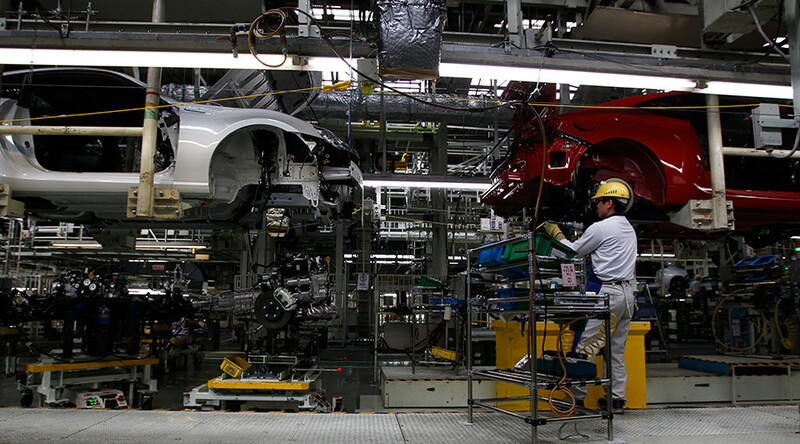 However, where others currently fail, the Toyohashi/Taisei Corp. vehicle excels: it can drive long distances without the battery expiring, so running out of juice is never an issue. The downside is, of course, that the new vehicle can only run on special roads – and who knows when that technology will truly takes off worldwide. It is not clear at this point when the university and Taisei envision the new cars and roads will take off in earnest. California residents will get to vote on the legalization of recreational cannabis this November after campaigners gathered more than 600,000 signatures to put it on the ballot. Secretary of State Alex Padilla announced on Tuesday that the initiative, which required just over 402,000 signatures, had passed. If the initiative passes, one in six Americans will live in states where cannabis is legal, including all four states along the Pacific coast, ABC reports. 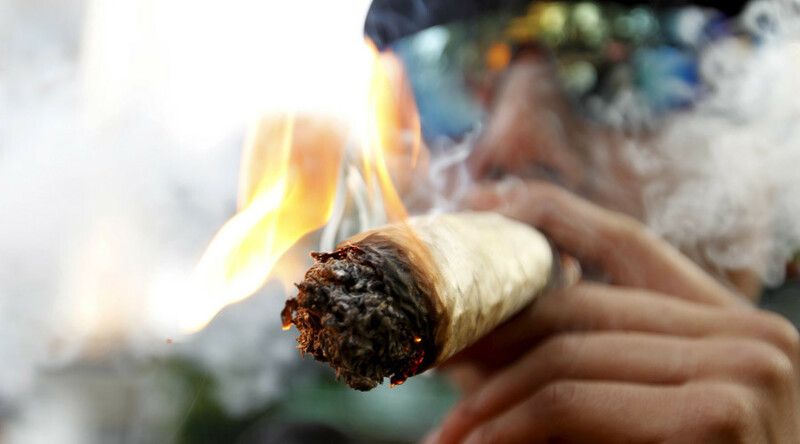 The new law would allow anyone over the age of 21 to buy up to an ounce of marijuana or edibles at licensed premises – and be entitled to grow up to six plants for personal use. Maine and Nevada will also vote on legalization in November. Colorado voters legalized the substance in 2012. Marijuana sales would be subject to a 15 percent sales tax and counties could impose their own fees on top of that. Cultivation taxes will also apply, at $9.25 per ounce of flowers and $2.75 per ounce of leaves. Taxes collected from marijuana sales in other states have surpassed those collected from alcohol taxes. In Colorado, the industry is worth $1 billion and the state collected more than $135 million in taxes and licensing fees last year, with more than $35 million of that being channeled into the state’s school system, Forbes reports. Why Should We Support the Idea of an Unconditional Basic Income? So what exactly would you do, if you were guaranteed $1,000 per month for the rest of your life? And yes, that’s around what the amount would most likely be here in the United States, at least at first. So think about that amount for a moment, and don’t think about what others might do with it, think about what you would do with it. Perhaps you would do more of what you enjoy. So what is that? 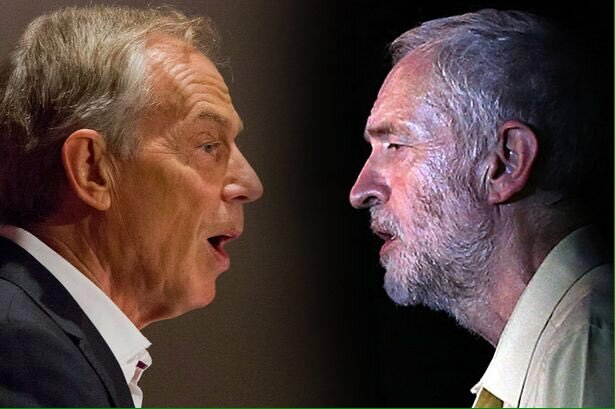 An exclusive investigation by The Canary can reveal that the current Labour ‘coup’ being instigated against Jeremy Corbyn appears to have been orchestrated by a PR company where Tony Blair’s arch spin-doctor, Alastair Campbell, is a senior advisor. He sits alongside several other figures, all of whom have direct links to the centre-right of the Labour party, and the Fabians at Portland Communications. Portland Communications is a political consultancy and public relations agency set up in 2001 by Tim Allan, a former adviser to Tony Blair and director of communications at BSkyB. we help our clients find their way through this new faster, noisier and contested landscape. We design and deliver communications strategies – and are trusted by some of the highest profile organisations, governments and individuals in the world. Its corporate clients include Barclays, Morrisons and Nestle, and it say their team is made up of “former senior advisors from the highest level of British government and politics, the EU, the UN and the World Economic Forum”. ". . . the Earthship is the epitome of sustainable design and construction. No part of sustainable living has been ignored in this ingenious building." 40 page set of construction drawings and details on sale for a limited time - $6,500. Best Earthship to Date. NIGHTLY RENTALS IN TAOS, NM. Construction drawings, concepts, pictures and more for concrete, non concrete, tropical and zero cost hut. NOW! New drawings for 1 bedroom non concrete with larger systems"
Hundreds of organizations say they work for “animal rights.” But the only animal with legal rights is the human animal. No other animal has any rights at all. None. ARE YOU A LEGAL ‘PERSON’ OR A LEGAL ‘THING’? For a very long time, a thick legal wall has separated humans from all the other animals. WHAT KINDS OF RIGHTS ARE WE SEEKING FOR NONHUMAN ANIMALS? We begin by seeking two kinds of fundamental rights for our nonhuman plaintiffs: bodily liberty and bodily integrity. We look at the bedrock qualities courts value when determining whether an individual is a “legal person” who should possess certain fundamental rights. The Nonhuman Rights Project is the only civil rights organization in the United States working to achieve actual LEGAL rights for members of species other than our own. Our mission is to change the legal status of appropriate nonhuman animals from mere “things,” which lack the capacity to possess any legal right, to “persons,” who possess such fundamental rights as bodily integrity and bodily liberty. Our first cases were filed in 2013 on behalf of captive chimpanzees; we plan to continue to file as many lawsuits as we have funds available. Your support of this work is deeply appreciated! Documentary following animal rights lawyer Steven Wise in his unprecedented challenge to break down the legal wall that separates animals from humans. Protesters have “reclaimed” a celebrated east London music venue after landlords changed the locks. Passing Clouds in Dalston, one of London’s leading platforms for alternative music for more than a decade, faces closure as its lease is at an end. The owners of the building took it back last week. Those running the club thought its lease ran until August and protesters occupied the building on June 16, allowing Passing Clouds to continue operating. The venue, which opened in 2006, was sold last September to a new landlord, Landhold Developments. 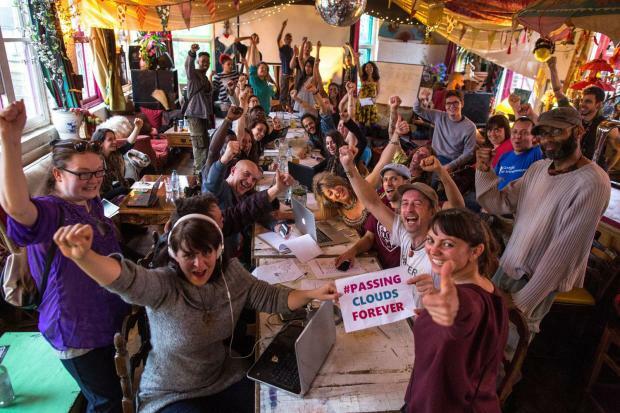 Eleanor Wilson, who founded Passing Clouds, is collecting a petition and wants a lease extension or the possibility of buying the premises, just off Kingsland Road. It hosts a variety of music styles, particularly world and African, and a weekly People’s Kitchen that makes use of donated food and offers it to community groups free of charge. An anti-fracking campaigner has appeared in court faced with a legal bill of more than £55,000 and a potential custodial sentence after being sued for trespass. Tina Louise Rotheryrefused to answer questions about her financial affairs at Blackpool district registry and said she would not pay the bill. She said afterwards she had been told she could face up to two weeks in prison. In August 2014 a group called the Nanas, including Rothery, occupied a field near Blackpool that was being considered for shale gas exploration. The fracking firm Cuadrilla, which had rented the field from a farmer, argued that the three-week occupation caused disruption and distress to the farmer’s family and his business, and brought a claim against Rothery. The company was granted an injunction to prevent activists from entering land throughout the Fylde in Lancashire, and in October 2014 part of its legal costs were awarded against Rothery as the only named defendant in the case. Since then interest has been added and the current total is £55,342.37.